Uber has added another appointment to its on-going moves with Coca-Cola veteran Rebecca Messina now joining the company as its first chief marketing officer. 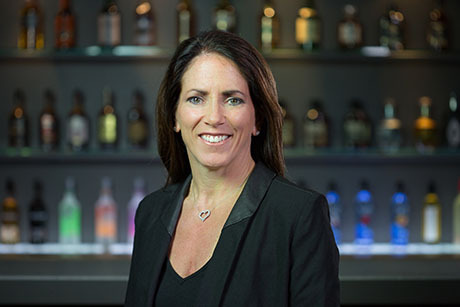 Messina who spent 22 years at the Coca-Cola company has held the title of global chief marketing officer at spirits giant Beam Suntory prior to this move will now oversee marketing efforts for the ride-hailing giant while working with international teams on its branding strategy. As Uber prepares for an IPO aimed for next year, Hiring leaders to fill key positions count as a major move for the company. Just last month, Uber appointed a CFO after a long search which led to Nelson J Chai, former Warranty Group CEO and finance veteran taking up the position. “Joining Uber is a once in a lifetime opportunity and a true privilege. My focus has always been on three things: people, growth and brands. Uber checks all three boxes: a rapidly growing global business, with the opportunity to build an iconic brand alongside a team that’s committed to transforming the future of mobility. I couldn’t be more excited about what lies ahead.” Messina said in a statement. “Uber hasn’t had a global marketing leader, so I think that job No. 1 is really to galvanize the internal team, put my arms around the 700 marketers around the world and really make them feel like they are part of something bigger, have a leader,” She added. With Uber working to brighten its image after several controversies and hassles last year, Messina would count as a good boost for its efforts in this space.